Did someone say paper airplane? 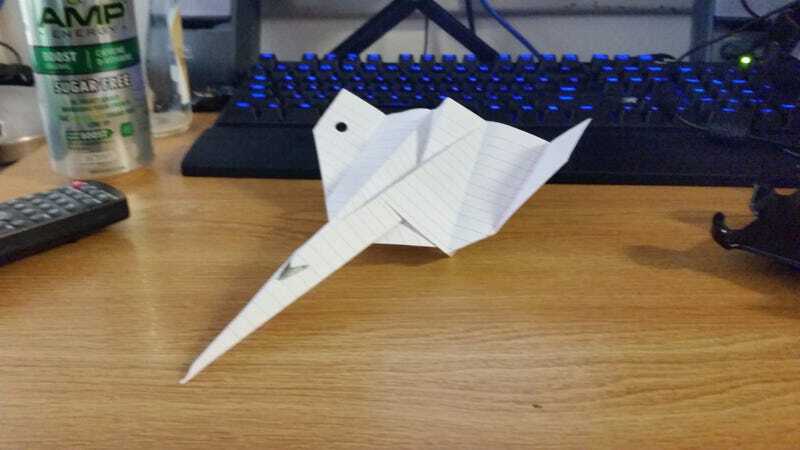 I just remembered how to make my favorite paper plane. The instructions are lost, but I still have them memorized!